We're super proud of this awesome article about our American Miso Company and American-made Miso Master Miso by Emily Glaser with beautiful photos by photographer, Mike Belleme in WNC Magazine's January/February 2019 issue! As part of their "Melting Pot" series, Our State Magazine spotlighted our American Miso Company, where we make our American made, naturally fermented, organic Miso Master Miso in their December 2017, "Melting Pot: Miso in Rutherfordton." Our Miso Master, Joe Kato said "It takes years of practice and plain intuition to know by feel the correct temperature for the perfect batch" (of miso). 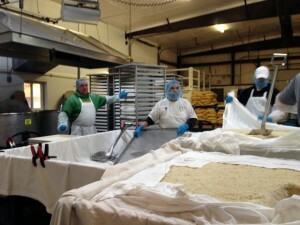 "A little taste of Japan with big health benefits is being made at a most unlikely spot in Western North Carolina"
It takes a little over an hour to arrive at the American Miso Company plant in Rutherfordton from Asheville. This after traveling part of the way on I-40, and then venturing off the highway to wind around what seems like continuous curves past nondescript trailers, fields, and small houses. Even upon arriving at the facility, there’s nothing out of the ordinary to capture the imagination in this rural setting. 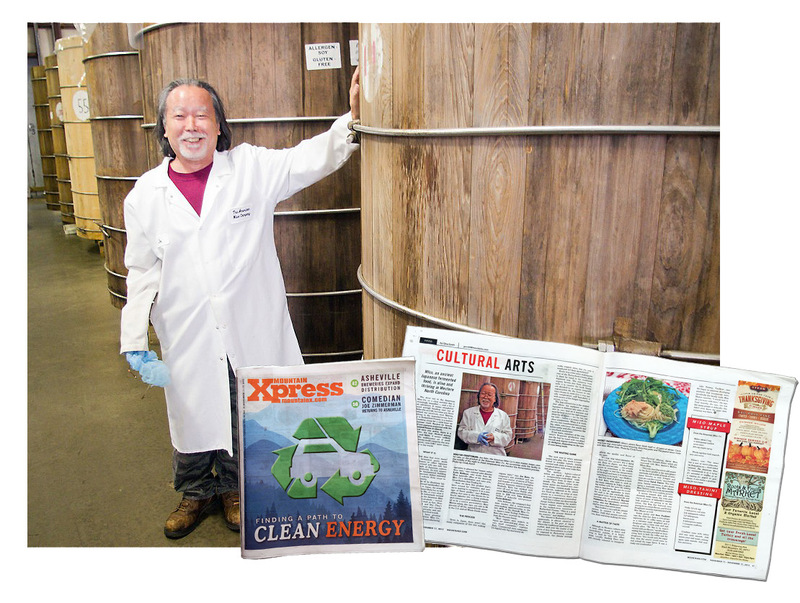 We're super excited to share this awesome Mountain Xpress article "Japanese miso is alive and thriving in Western North Carolina" about our American Miso Company and Miso Master Miso. 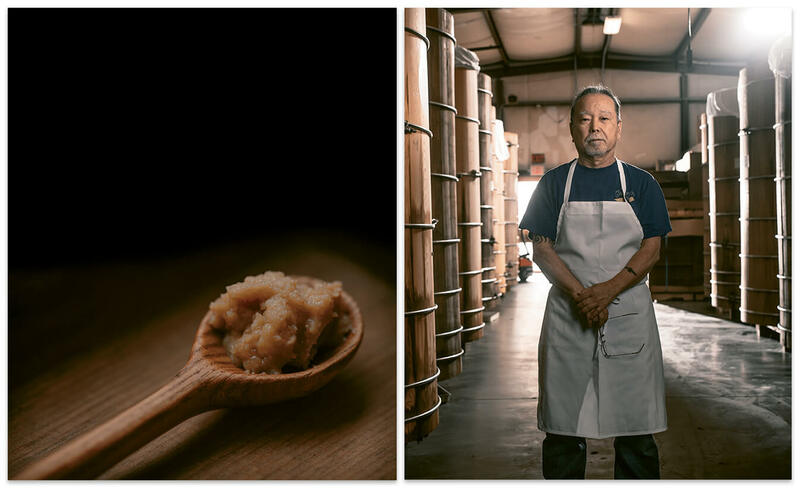 We hope that you'll enjoy "meeting" our miso master, Joe Kato and learning more about our dedication to hand crafting the finest, traditional Japanese style organic miso just an hour down the mountain from Asheville‬. We hope that you'll be inspired to include this amazing superfood into your healthy meals, desserts and snacks (recipes included in article!) Or ... you can get a taste of just how delicious miso is with some "Sweet Miso Ginger Soy Tempeh" strips by Smiling Hara Tempeh, LLC or try a miso ginger capuccino or a red miso sugar doughnut over at Vortex Doughnuts, ‪YUM! 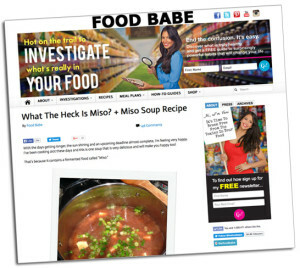 Food Babe discovers Miso Master Miso! Vani Hari, AKA Food Babe shared her discovery of miso as well as her first miso purchase (Miso Master Miso) in an article "What the Heck is Miso" on her Food Babe blog. She chose our Miso Master Miso because it's certified organic and because she avoids buying foods that have been genetically engineered (Miso Master is Non-GMO verified!) She was also impressed with Miso Master's high rating on The Cornucopia Institute's Organic Soy Scorecard report. Miso Made in the USA? Zester Daily featured our American made Miso Master® Miso in this great article Miso Made in the USA? Yes, If You Know Where to Look by Hiroko Shimbo. Hiroko begins with an explanation of what miso is and how traditional miso production produces the miso with the scientifically proven health benefits with its unique "umami, savory taste." She shares her adventure to a friend's miso brewery in Saitama Perfecture. 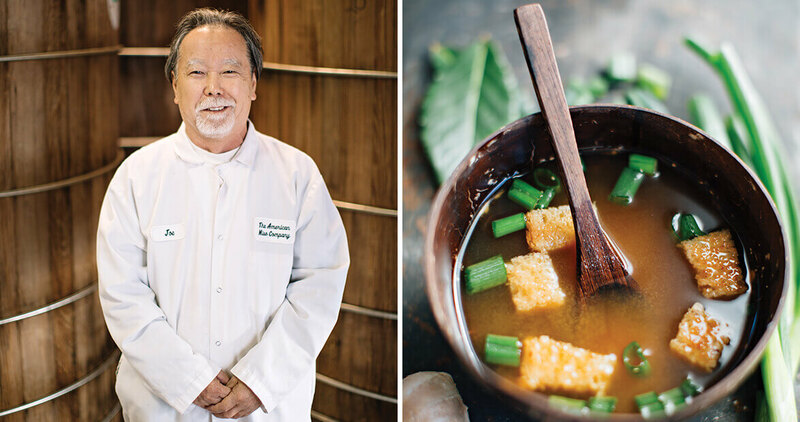 where he observed the true art and work involved in "nurturing the proper fermentation of miso." 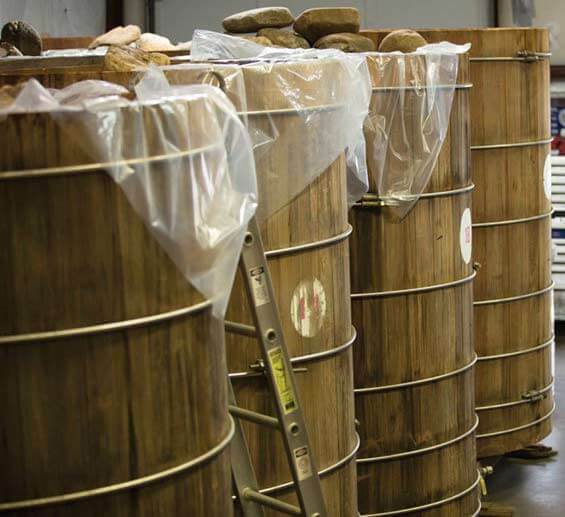 On a quest to learn more about her favorite American made miso, Hiroko visited Great Eastern Sun's American Miso Company in Rutherfordton, North Carolina. She was delighted to see that Miso Master® Miso was crafted using the same miso making methods and qualities used by her friend in Japan, "...far from the city, with clean water, pure air and people who cared about producing high-quality food." "American cooks don’t have to order a shipment of Japanese miso from abroad to get the real experience: Several American companies are now making very high quality, traditionally produced miso. On a day when I did not have time to walk 20 minutes to the Japanese food store, I discovered the American-made Miso Master brand at my neighborhood large chain supermarket in New York City. In my kitchen, this miso really surprised me. It had the quality and taste characteristics that I had long yearned for."